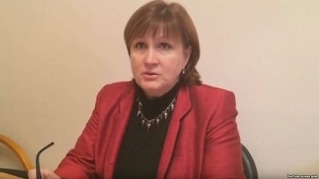 Valentina Cherevatenko: "Our work has become far more difficult because of the ‘foreign agent’ law. [...] But we continue our work"
"Our work has become far more difficult because of the ‘foreign agent’ law. The community of strong and active organizations, the institutions of civil society with which we would like to compare ourselves, organizations which it is always an honour to work with – all these people have now been added to the list of ‘foreign agents.’ This label makes our life much harder. But we continue our work. People continue to come to us, asking for help. Our public advice centre has been working now for 23 years, and continues to function. I cannot praise highly enough those lawyers who continue to work with us without asking for any money. This is very hard work."